This incarnation of the ‘Jerry Garcia Band’ is worthy of deep inspection and performed together from November 1977 through November of 1978. 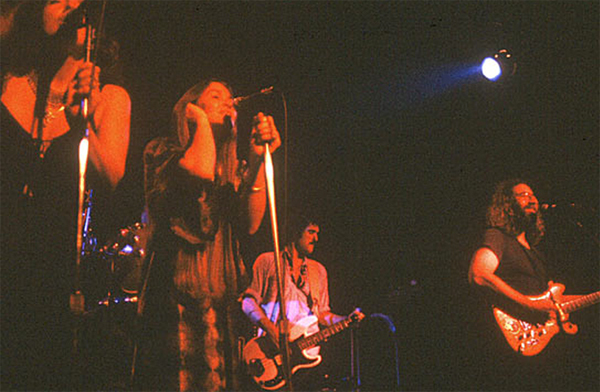 In addition to Garcia the band included, John Kahn (Bass), Keith Godchaux (Piano, Vocals), Donna Godchaux (Vocals), Maria Muldaur (Vocals) and Buzz Buchanan (Drums), a stellar and homegrown assemblage of talent. This particular performance also features future Garcia Band member Ozzie Ahlers sitting in for the final four songs of the second set. What makes this era so attractive to fans and archivists is the nimble and airy aesthetic of the group. Godchaux and Garcia provide the color to the tunes, spinning delicate and ornate webs of melody around one another. Kahn’s hide and seek bass playing is always a unique aspect of the JGB’s rolling mystical attitude. While Kahn’s relationship with the clean sheet drumming of Buchanan gives the tunes a flexibility not always available to Garcia in the Grateful Dead. Garcia’s guitar tone during this era is also something of note. His famous Doug Irwin ‘Wolf’ guitar returned to the stage in the Fall of 1977 after Garcia put away his touring Travis Bean guitar for technical issues. The ‘Wolf’ appeared refurbished and retooled with a big brassy tone, similar to a a huffing and puffing psychedelic horn. Garcia’s vocals during this era are also some of the most emotive and expressive of his career. While his throat still contained a youthful exuberance, its continued maturity injected wisdom and inquisitive weariness to his storytelling. The Spring 1978 Grateful Dead tour the following month from this concert is well-known for Garcia’s emotional vocal performances, especially on the ballads. This new-found vocal investment may or may not be due to Garcia’s newly found love of heroin which is well-known for its effect on many artists vocal approach and timbre. The concert begins with usual JGB show opener “How Sweet It Is (To Be Loved by You)” always a proper number to warm up the chops and loosen rigid fingers. The swift and skillful group floats like a feather but drops musically like a melodic anvil. There was a full moon on this evening and its effect is immediately noticeable in the magical tides being pushed and pulled by the band. One of the finest versions of “Catfish John” follows next in the set and is highlighted by both Garcia and Godchaux’s melodic explorations. Each nook and cranny of the song is searched for differing avenues of expression by the duo. A highlight moment right off of the bat. 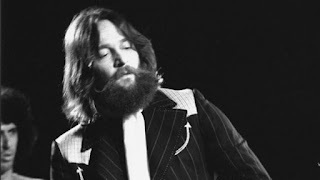 The preceding East Coast segment of the JGB’s tour had just concluded on March 19 and a definite contrast in vibe is felt with this introductory West coast performance. The first set floats along patiently, moving through three extended versions of elongated readings of Dylan’s ‘Simple Twist of Fate’, ‘Second That Emotion’ and a respectful and regal version of ‘The Night They Drove Old Dixie Down’. ‘Simple Twist’ clip-clop’s with a horse’s strut, Garcia lending his own special poignancy to ‘Simple Twist’ with melodic interpretations of Dylan’s verses that draw out visual scenes not sketched by the original interpretation. Garcia’s gift of melodic invention is on full display here, as the maestro pulls out masterful diversions from Dylan’s vocal melodies. The set closing “The Night They Drove Old Dixie Down” looks trough a misty window at battlefields of the past. Again, the song is stretched out and examined dynamically with the prime interpreter Garcia illustrating new meanings through his ariose guitar runs. This flexing version lends an emotional and introspective conclusion to the set. The second set begins excitedly with a bounding tempo as the band introduces Jimmy Cliff’s “Harder They Come”. A kinetic groove is developed around Kahn and Godchaux’s quivering exclamations, equaling another rendition that is representative of an all time version. Garcia’s guitar is plump and round, his slithering runs hitting the central spot of the frets each and every time. These are not the speed runs, or aimless noodles that Garcia is sometimes guilty of when he may be feeling too good. These are concentrated and developed reconstructions of the melody, bent and shaped into original forms and readings. This is when Garcia is at his best. Sometimes the spaces between the notes are as uniquely expressed as the flexed one note holds. Garcia’s prowess as a rhythm guitarist which is often highly underrated is also of note in this version. Garcia scrubs until creating bubbles under Godchaux’s solo segment which in turn is sandwiched by additional Garcia solo picked excursions. Keeping with the increasing energy of the second set comes another definitive reading with a stoic“Mission in the Rain”. Even though this song could be considered a ‘ballad’, here it sways away at a strutting clip. One of Hunter/Garcia’s finest songwriting moments, the song never quite felt right with the Dead, here it elicits a downpour of Garcia trills that reflect Godchaux’s misty keys, eventually building and thundering into a massive musical storm. Also highlighting this performance is the aforementioned Garcia vocal reading, full of tasteful over enunciation and additional push. Part of the reason for the fame and strength of performances hailing from this era is attributed to the fact that Garcia had just released possibly his finest record with the Garcia Band. Cats Under the Stars was being supported by this tour and its songs formed cornerstones for Garcia’s repertoire for years to come. “Cats Down Under the Stars” and “Gomorrah” are played back to back here, true to the recently released studio versions but performed with the same glory and attitude of preceding numbers. Throughout the intervening years these songs would develop into ‘big’ numbers, road tested and matured due to constant playing. Here they retain an infantile freshness and enthusiasm. Garcia Band favorite “Mystery Train” follows and as expected chugs along blowing steam. The tempo shakes like a railroad bridge with Ozzie Ahlers now sitting in on percussive piano according to the liner notes. The band cruises over crossings, under bridges and through American rock and roll landscapes on Buchanan’s choogling drums. The smoky ‘reggae’ burn of the Hunter/Kahn number “Love in the Afternoon” is played next and brings thing back down slightly, until Garcia whips a lasso around the band and drags them into a nice mid song peak. Ahlers piano playing fits in perfectly and nary is a lick misplaced in his guest appearance. The traditional “I’ll Be with Thee” closes the concert on a soulful and secular note. Garcia Band’s vibe was always based in classic American values, traditional ideas, and soulful renditions of classic melodies. Donna Godchaux and Muldaur lend their gospel voices in close harmony on this hand raising, hip swaying closing number. This rendition is a fitting conclusion to a spiritual evening of song. The band returns for an encore of Peter Rowan’s “Midnight Moonlight” which is the victim of an unfortunate tape cut at its conclusion. Most of the song is available, which is fortunate because like the Full Moon that shined outside the venue, this version is luminescent and celebratory, sending the assembled crowd to walk hand in hand across the lunar lit night. 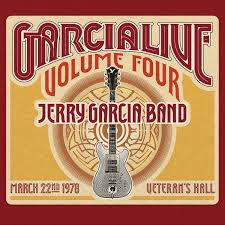 GarciaLive Volume 4 is a worthy release from a well represented time in the Garcia Band’s history. Similarly to the Grateful Dead’s 1972, 1977 and 1990 tours, this era is highlighted through official releases because of its historic value, beautiful playing and unique instrumental prowess. The available soundboard recording is sweet sounding, well-balanced and loaded with delicate and powerful playing, all coming from an era filled with jaw dropping guitar fireworks by Garcia and sympathetic backing from the players in the band.